I know, I know ... I shouldn't eat in the living room. 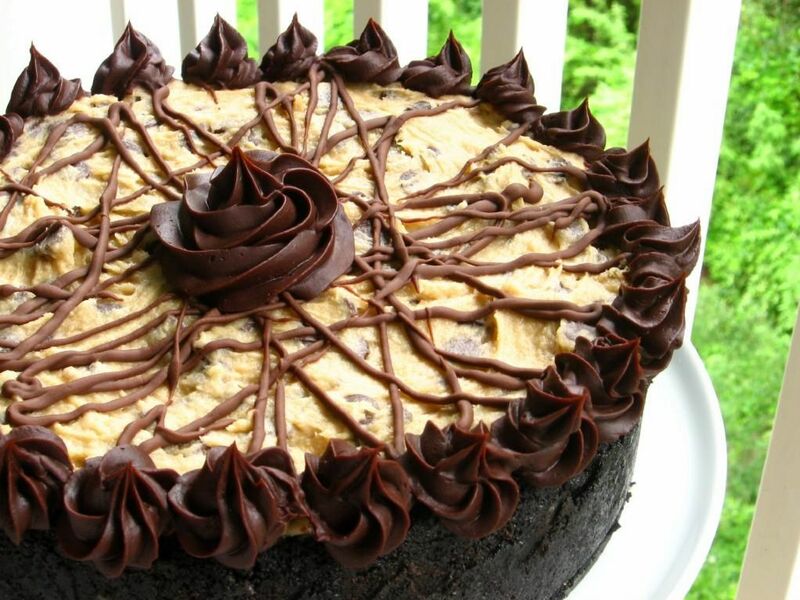 But if you've been reading my twitter feed lately, you've heard an awful lot about a certain "Coffee Cookie Dough Fudge Cheesecake." Let me tell you, it lived up to its hype. Dark and rich, it was perfect for savoring with a glass of red wine. It has five layers to it: chocolate cookie crumb crust, ganache, coffee cheesecake, sweet sour cream, then a slab of cookie dough. With parts like that, how could the whole be anything but delectable? So if there's anything (or anyone) needing celebrating in your life, do yourself a favor and hope over to Willow Bird Baking for the recipe and make this cake. Confession: my current decorating tip is a ziploc bag with the corner cut and masking tape around the seams so it doesn't burst all over my hands. This was my end result. Thank you for sharing! This is amazingly tummy-lious!